I CAN’T BELIEVE IT’S OVER! THANK YOU TO EVERYONE WHO DONATED!!!! WE RAISED $32,675 for ST. JUDE HOSPITAL! I can’t believe my summer of JUGGLING FOR JUDE is over! My original goal was to raise $15,000 and we actually raised $32,675! I couldn’t have done it without all of the generous people like you! I learned so much this summer, and you can read about some of the lessons I learned in a blog post I wrote a few weeks ago. I have changed so much from this experience. I am so proud to have raised so much money for such a great place and for the kids at St. Jude Hospital. I am so thankful for everyone who helped. 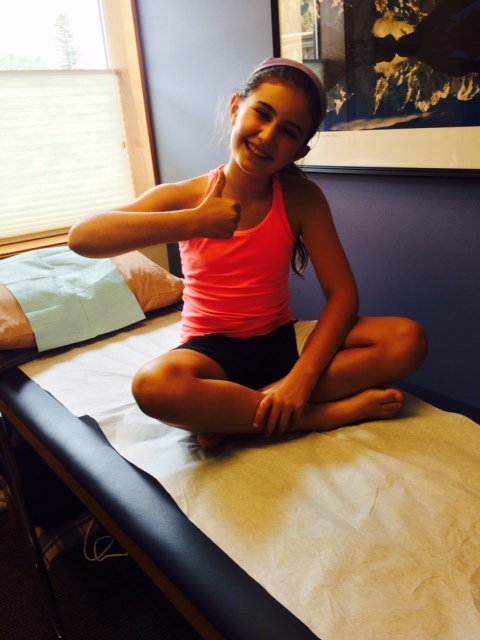 Just because my fundraiser is over doesn’t mean you can’t donate to St. Jude Hospital. If you are thinking about doing that, you really should, because the kids at St. Jude need your help. Some really exciting news is that St. Jude Hospital is going to take on a Juggling for St. Jude program that I’m going to help get into as many soccer clubs in the country as possible. Isn’t that so cool? My mom and I will keep you up to date when that starts in early 2015. I feel really proud that my fundraiser is going to lead to a national fundraiser at the hospital, and I can’t wait to see where that takes us! Thank you again so much for your donations and support! I’ll NEVER forget my summer of Juggling for Jude! Every Kid Should get to Grow Up and Be SOMETHING! Please Help the Kids at St. Jude Reach for the Stars! When I grow up, I want to be a professional soccer player, a dancer, a Broadway or movie star, and most of all run my parents’ gyms. Kids with cancer have big hopes and dreams just like me! Here is a video showing some of the St. Jude Hospital kids talking about what they want to be when they grow up. Your donation to St. Jude can help make sure these kids and others like them will be able to grow up and be what they want to be. Remember that September is Childhood Cancer Awareness Month and the end of Juggling for Jude, so please DONATE now! Back to School! It’s Time to Reflect on Juggling for Jude. Plus, We Still Need More Donations for St. Jude Hospital. Let’s See How Close to $40,000 we can Get! Day 53: A Whole Lot of Math Adding up My Juggles. Plus, September is Childhood Cancer Awareness Month! Yesterday, my mom and I added up my daily records for the summer. The total of my highest juggles each day was 7,644. I juggled 52 times, including the times when I broke my toe and didn’t do that many, so my average high for each day is 147 juggles. For those of you who pledged to donate based on my records, now you have the numbers you need to figure out how much to donate. Really, you should just give what you can, because every donation helps St. Jude! September is Childhood Cancer Awareness Month, so it’s a great time to donate to St. Jude Children’s Hospital. My donation page will be open all month, so please keep spreading the word so I can keep raising money for this great place. The kids there need our help! PLEASE DONATE HERE! We are almost at $30,000! Let’s get there! Day 43: 158 Juggles. Plus Check Out This Amazing News! Below is an email my mom helped me copy into my blog. It’s from the people who run a company called Central Payment, and it tells some of their sales partners all about Juggling for Jude. But they also offered to do something so generous. They are going to give the same amount as all of their sales partners, so really it’s double money for St. Jude Hospital! My mom says that’s called matching donations. I am so thankful to Matt and Zach Hyman and everyone at CPay for their support of Juggling for Jude. It’s people like them who make the world a better place. Today I squeezed in some juggling in between camp and soccer practice. The pressure was on! I got 158 juggles and raced off to practice. Only a couple of weeks left–I can’t wait to see how much money we can all raise before this ends. Thank you for your support, and remember to DONATE HERE! 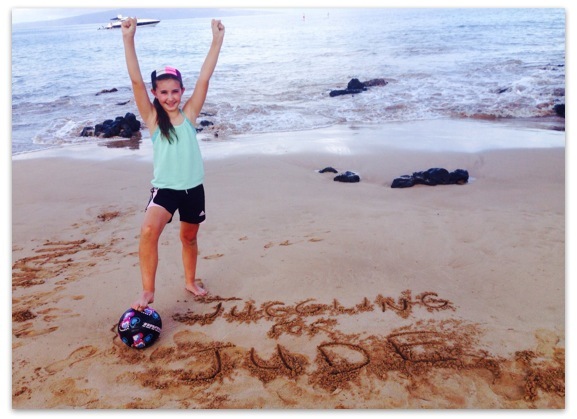 As a part of CPAY’s philanthropic efforts, we want to extend a special fundraising campaign, called Juggling for Jude, to the entire CPAY family for St. Jude Children’s Research Hospital. St. Jude’s mission is to advance cures, and means of prevention, for pediatric catastrophic diseases through research and treatment. CPAY will match up to $5000 per donation from our Sales Partners for this worthy cause! 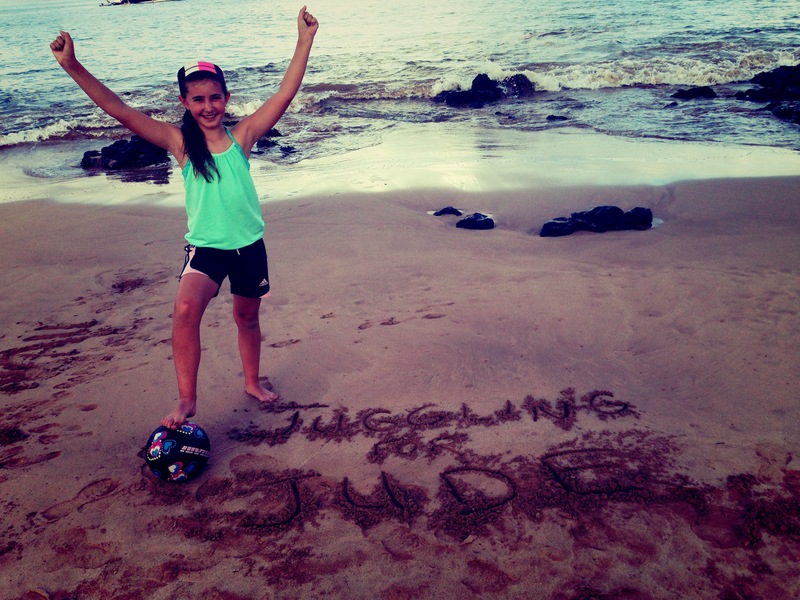 Juggling for Jude was brought to our attention by Hollis Belger, the 9-year-old daughter of the owner of a local gym that many CPAY employees are members of. 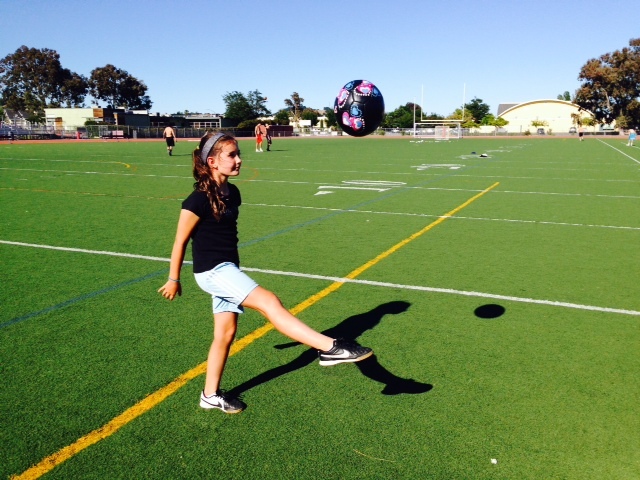 Hollis plays soccer for a competitive soccer club in the Bay Area and her skills in juggling are AMAZING. 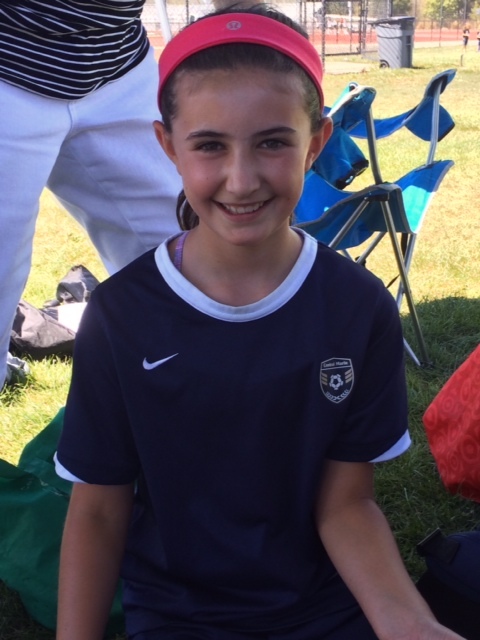 She has a big heart and wanted to use her soccer skills for a great cause by helping the kids at St. Jude Children’s Hospital. Day 34: I Officially have a Broken Toe (Dance Injury). But, That’s not Going to Stop Juggling for Jude! Plus, if you Watch this St. Jude Video, you will Probably Donate! I saw an orthopedist today, and it turns out that my toe is broken from my injury at dance camp. That’s me giving thumbs up on the Dr. table, because the good news is that he said I can do whatever I want, as long as it’s not too painful. I played soccer today at team training, but when I went out to juggle tonight it was hurting a little. I did some warmups and even got up to 42 juggles, but then I decided it would be smart to stop so I didn’t make the pain worse. You might be able to notice that I don’t look as smooth as I normally do. 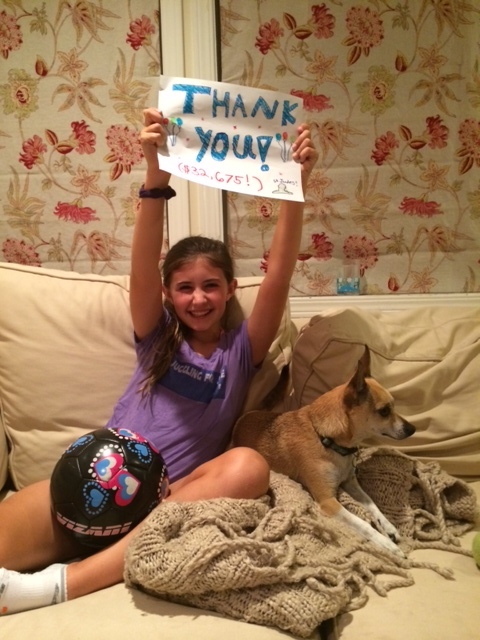 I know if I rest a little, I’ll be able to come back stronger when I’m ready to go for my goal of 400 juggles! And I need to be healthy for a tournament next weekend. When we got home, my mom suggested that we spend the time I would have spent juggling to find a video about a patient at St. Jude so everyone can see where the donation money is going. 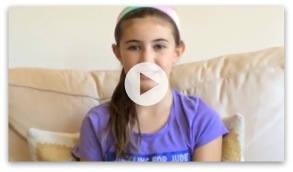 I found this amazing video about a girl who is only a little younger than I am. Her name is Yamila, and she came to St. Jude all the way from Puerto Rico. St. Jude saved her life. She said in the video something so sweet. She said “St. Jude is my best friend. I never want to leave it.” You should really watch her story here! I really hope you will watch this video and then donate to St. Jude. Please go to my donation page here and give whatever amount you can. I really promise that every bit helps the kids like Yamila. Please help save a life today! Thank you for your support, and be sure to check my blog again before the weekend, because I think I’m going to be on TV again! Days 15 and 16: 101 and 178 Juggles. Plus a Boogie Board and a Donation from Some Really Nice People. Quick juggling update before I head out to say goodbye to the beach and go to the airport: The day before yesterday was hard because the hotel was setting up tables for a wedding on my usual juggling spot. I got 101. Yesterday was better. I got 178 on my second try! 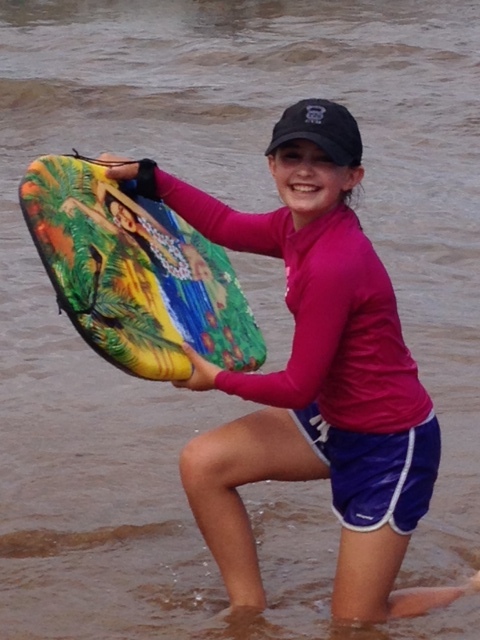 Afterwards, I walked over to get some homemade pancakes on the beach, and a nice girl a year older than me offered me to take this cool boogie board, since her vacation was ending. Someone had given it to her when she got to Hawaii. How cool is that? 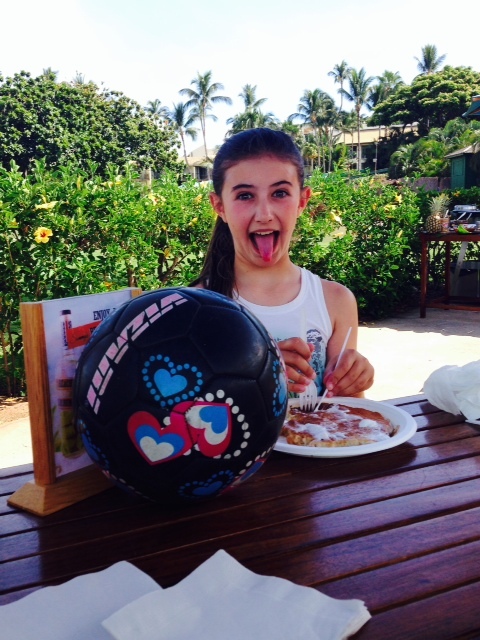 I had my soccer ball with me, and it turns out that she plays soccer, too, and she also likes to juggle. The adults she was with were so generous. I told them about Juggling for Jude, and they both took out $20 bills and gave them to my mom! I was so happy! Then, I ate my pancake and boogie boarded with my sister for hours. It’s looking like we will pass the $7,000 mark today, which is so amazing. We are only $70 short of that amount. Maybe your donation will put us over! I can’t believe how much support I’ve gotten for this great cause. The more I learn about St. Jude Hospital, the more I know my hard work is so important. Thank you for your support, and keep telling your friends, because we have lots more money to raise! You can donate here or pledge a per-juggle amount on my Facebook page by commenting on the page. 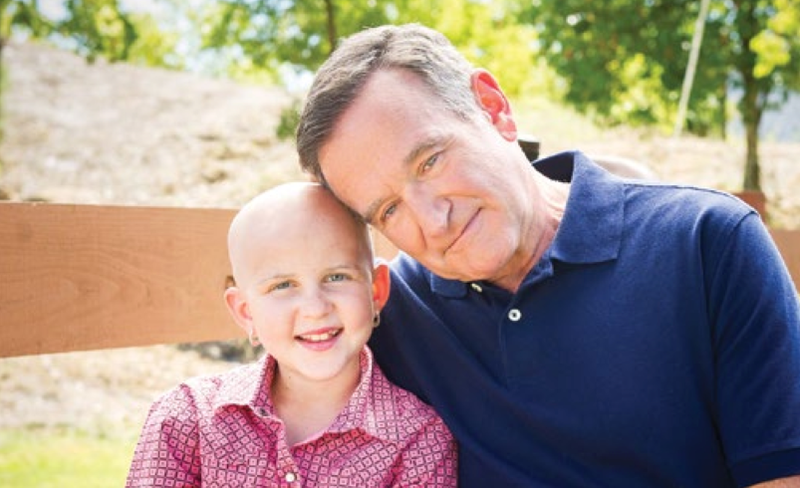 Every dollar helps a child with cancer get treatment for free! Juggling for Jude Coming to you from Hawaii. Kids at St. Jude don’t Get Vacations from Cancer, so I’m Juggling During Mine. 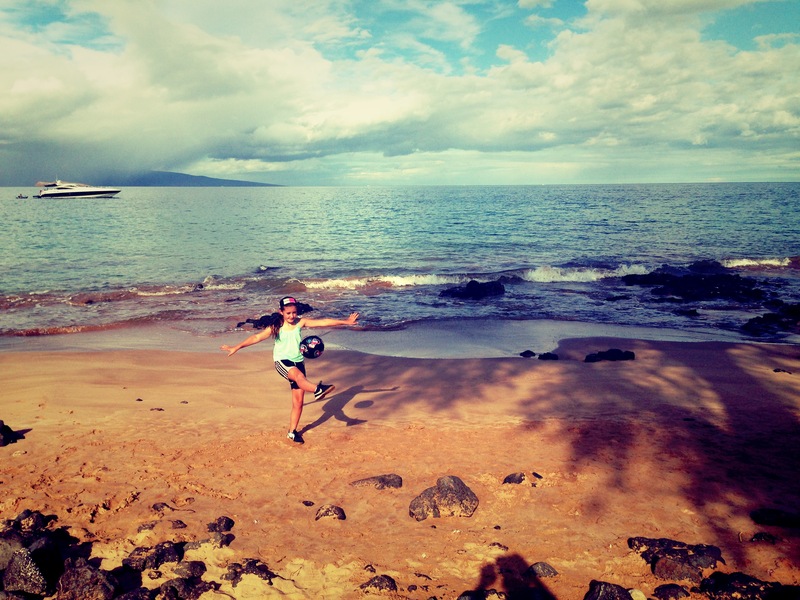 I’ve never been to Hawaii before! It’s amazing here! I took the day off from juggling yesterday, because we traveled and I just wanted to settle in and swim when we arrived. I was back at it this morning, and after playing around on the beach, I was lucky to find a grassy spot near the water to get in a few tries. I got 114 (video here). Not close to my record, but it was time to snorkel, and every bit helps, so that’s 114 more JUGGLES FOR JUDE! 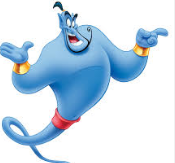 I am thinking about the kids at St. Jude who don’t get to take a vacation from their cancer. This will keep me juggling every day for the rest of my time here, no matter how hot I get! You may not believe this, but at the time that I am posting this blog, JUGGLING FOR JUDE has raised $5,385 for St. Jude Hospital!!!! How amazing is that? I am so thankful for the support from everyone who has donated. Please keep telling your friends, so we can reach my goal of $15,000 by the end of August. The kids need our help!!!!!! You can donate here or pledge on my Facebook page! THANK YOU!!!! !